It's a busy time of year, isn't it? I have been working on commissions nonstop (except for two art shows in the past couple of weeks) so I have not had time to post. But I'll take a moment to show you the latest commission. 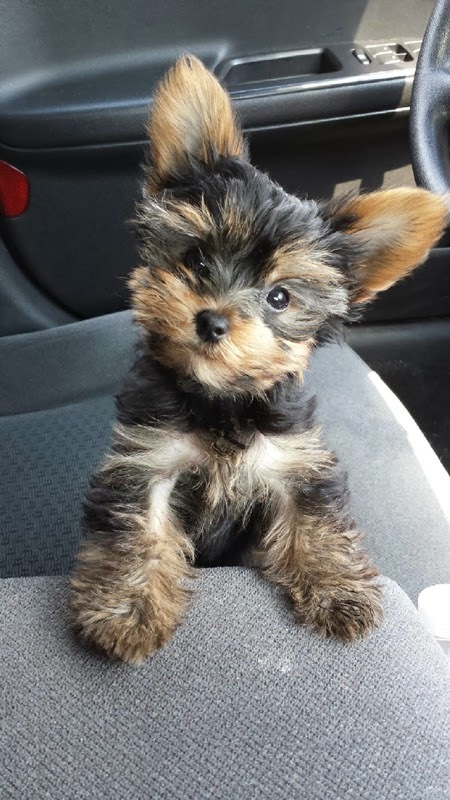 Macee is a cute Yorkie whose photo you can see to the left. I like this pose with her head tilted to the side in an inquisitive way. So I decide to use it as reference for her portrait. 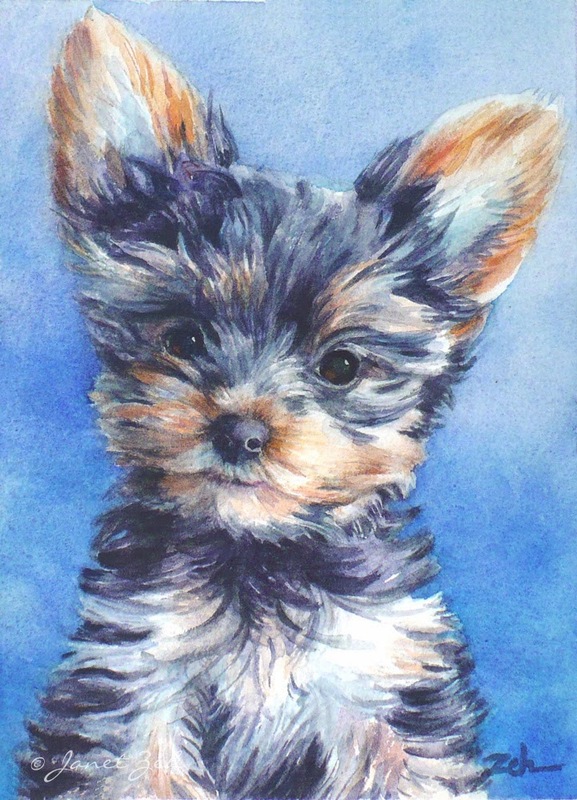 I will do a close up of her face and chest since the painting is small (7x5 inches). Let's see how it comes out. Read on and I'll show you how I paint her. Or you can skip to the finished painting by clicking here. 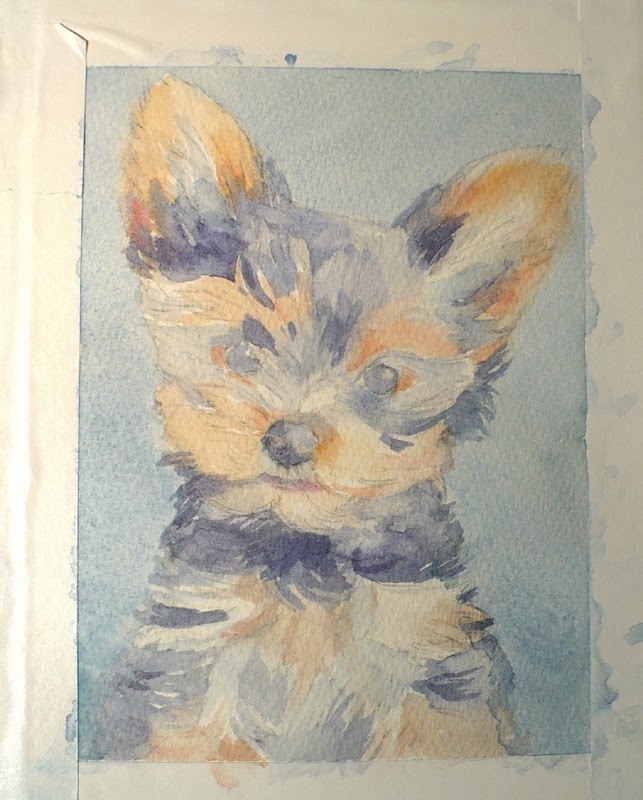 I first sketch Macee onto the watercolor paper making only a slight tilt to her head so the pose will fit better on the 7x5 inch paper. I don't want those big ears going out of the picture! 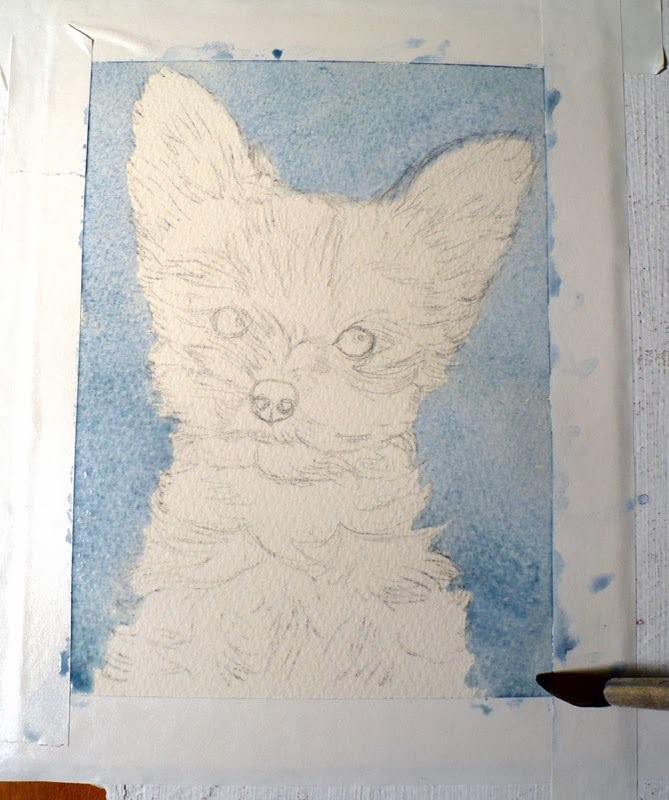 Now I begin to deepen the colors, leaving the lightest areas a light tone. Since watercolors are transparent, light paint cannot be used to paint over dark areas, so the lights must be left as they are and painted around. 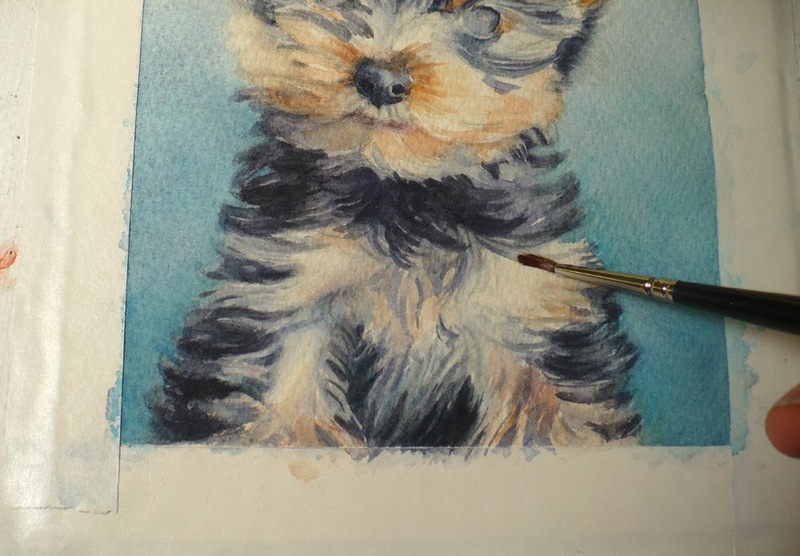 I paint her eyes, nose and mouth. Last, I add another glaze of color to the shadow side of her face and deepen the blue background. Now the portrait is finished! You can click any of the images to see them larger. Hope you enjoyed the demo! 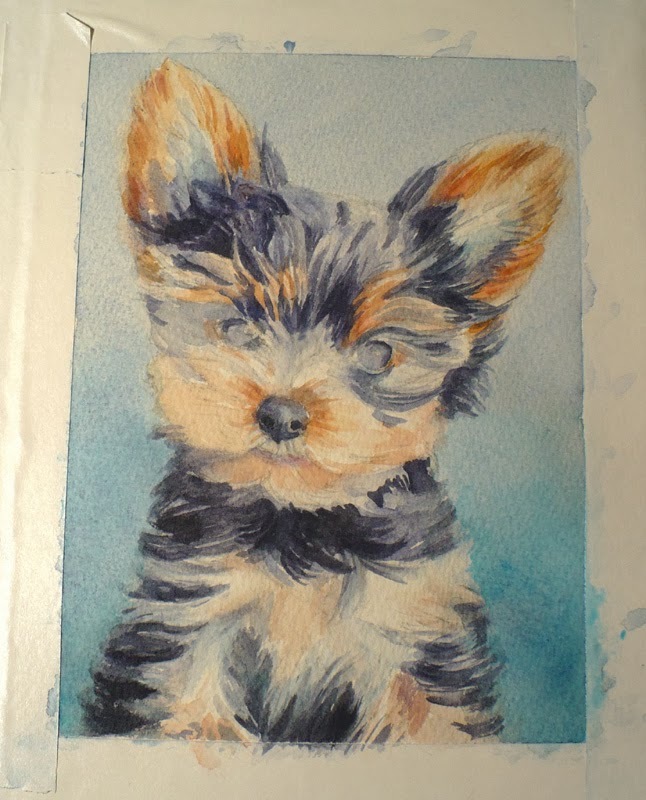 Do you have a sweet pet you'd like painted? Check out the details here, ZehPetPortraits.com or contact me.